SHOW ME MY MISSING LINKS! The Secret Formula to Activating the Law of Attraction In Your Business Is To Find The Missing Links Preventing You from Activating it. I am NOT what you’d call a Law of Attraction Coach or Expert, I’m woman who’s passionate about my mission – helping Purpose, Passion, Mission-Driven Women Business Owners build successful businesses that are changing the world. I have believed in the Law of Attraction since I first read about it in Conversations with God, and in The Power of Intention, and I started really practicing it after The Secret. But I had the same problems most people did. I couldn’t get it to work. At least not for the important things. While I grew my own business and mentored my clients to grow theirs, I became an expert in seeing what was blocking my clients from attracting clients, generating income and making an impact. I could also see what was blocking me. So I shifted my focus to eliminating those blocks and helping others eliminate theirs, but I never gave up on being able to Activate the Law of Attraction. 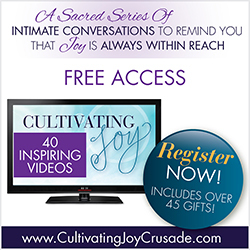 And then through a Most Divine Download – Conversations With God-Style- It was explained to me that uncovering and eliminating the emotional & subconscious blocks is like the “manual” process that allows people to Activate the Law of Attraction. All of a sudden it was like the World opened up for me. That meant that everyone can access AND activate the Law of Attraction once you know what’s “blocking” it. And that’s where the Missing Link Activator™ comes in. Using this tool I created, you can instantly see what your Missing Links are. 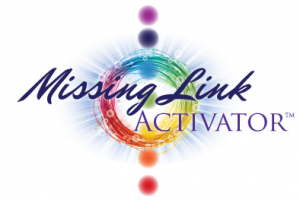 Once you obtain YOUR Missing Link Activator™ you’re just a few short steps away from being able to Activate that Elusive Law of Attraction in YOUR Business. It’s the Blueprint to Eliminating the Frustration, Shame and Despair of Not Being Able to Attract & Manifest the Success You Have Worked So Hard For In Your Business.